Ada pertanyaan untuk Lia! Chengdu Hotel? Terletak di Tianfu Square, Chengdu Minyoun Central Hotel merupakan tempat yang sempurna untuk menikmati Chengdu dan sekitarnya. Properti ini terletak 0.0 km dari pusat kota dan menyediakan akses mudah ke fasilitas-fasilitas penting kota ini. Properti ini terletak di sekitar obyek wisata populer di kota ini, contohnya Renhe spring department Store (Renmin East Road), Maoye Mall (Renmin East Road), Maoye Mall(shuncheng Street). Fasilitas dan pelayanan yang diberikan oleh Chengdu Minyoun Central Hotel menjamin pengalaman menginap yang menyenangkan bagi para tamu. Properti ini menyediakan layanan kamar 24 jam, WiFi gratis di semua kamar, satpam 24 jam, toko serbaguna, layanan taksi untuk menjamin kenyamanan terbaik. Nikmati fasilitas kamar berkualitas tinggi selama Anda menginap di sini. Beberapa kamar memiliki televisi layar datar, rak pakaian, teh gratis, kamar pas, linen, yang disediakan untuk membantu Anda mengumpulkan tenaga kembali setelah beraktivitas seharian Properti ini menawarkan berbagai pengalaman hiburan unik seperti pusat kebugaran. 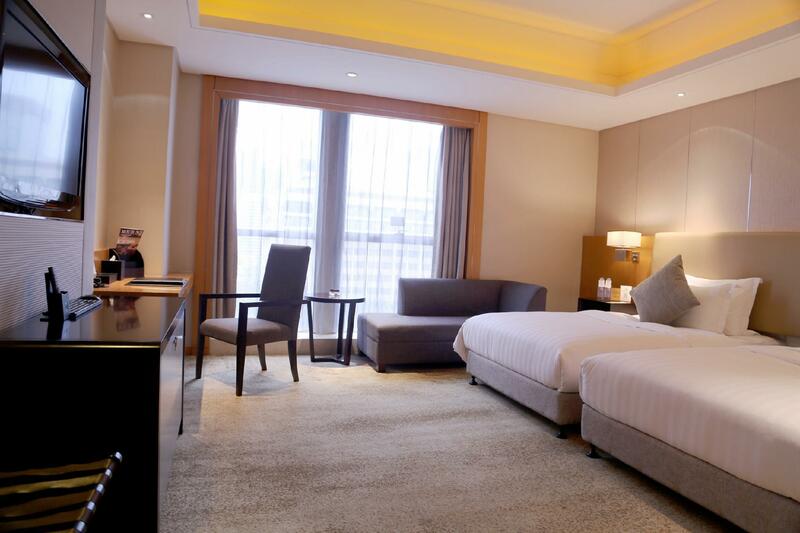 Apapun tujuan kunjungan Anda, Chengdu Minyoun Central Hotel adalah pilihan menginap istimewa di Chengdu. 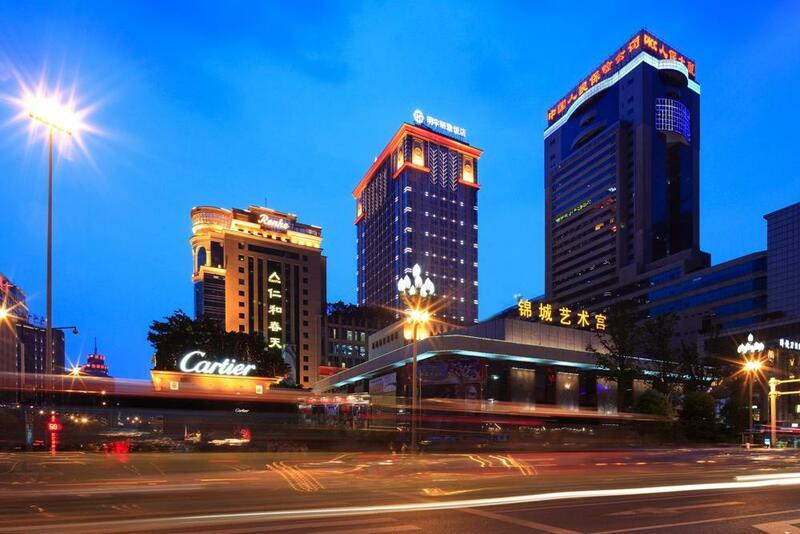 The hotel is conveniently located right next to Tianfu square. My wife and I were able to walk to most spots on foot. Staffs were great and very approachable. The only downside is that the room lighting is just way too dark. Given Chengdu isn't the city with the most sunshine, we were hoping that there would be more options to have brighter lighting. You’ll understand why the name of this hotel includes an exclamation mark when you stay here: My wife and I are hotel-jumping and Lia! has been the clear high point of our accommodation experience in Chengdu. A possible misleading aspect of this hotel’s quality is an old-style lobby which betrays somewhat the boutique design and layout on the floors above: Just ignore the improvised decoration and the shopping mall vendor outside the elevator until you get to your room. The hotel entrance is around the corner from the JW Marriott, useful info since the app map places the hotel farther north than it really is. Very close to Tianfu Square. Our only regret is that the hotel was fully booked on subsequent nights, preventing us from staying longer. 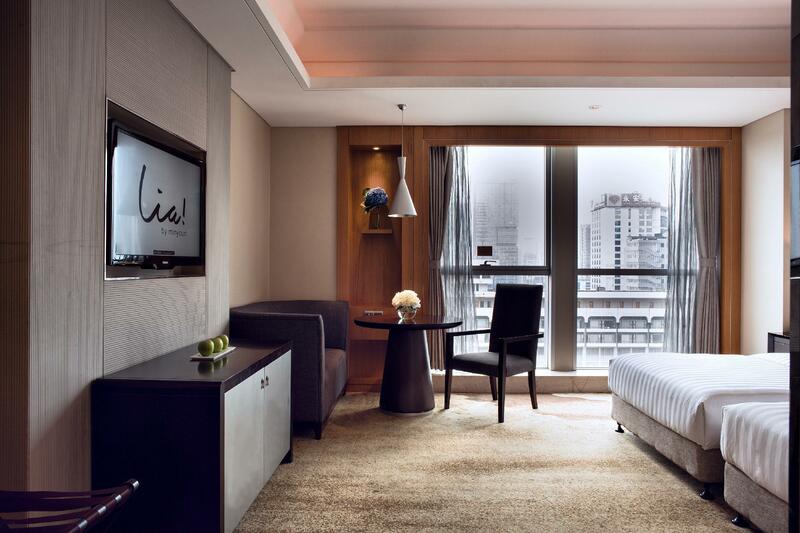 In the price range on Agoda, Lia is #1 for us in Chengdu. Good location for the price. Decent facilities. Helpful staff like Barton. Just a 5 minutes from MRT and the major underground market area. Hotel is pleasant and the staffs are very helpful and attentive. Breakfast is charged separately, but it is fair as the hotel fee is quite affordable. This hotel is nest next to a shopping mall, which is inconvenient to get taxi. You'll have to walk to the big street to get taxi. Not to mention about the construction going on near the hotel which makes it hard for taxi to come thru from one side of the street. Breakfast buffet is nice though. the bathroom was smelly. I think it was due to the lack of u-tubes in the design of the drains. Even the cleaner had poured hot water into the drains, the smell came back after a few hours and to reduce the pungent smell, I had to open the window while sleeping. I noticed that occupant of the adjacent room had to open her door most of the time to neutralise the smell . 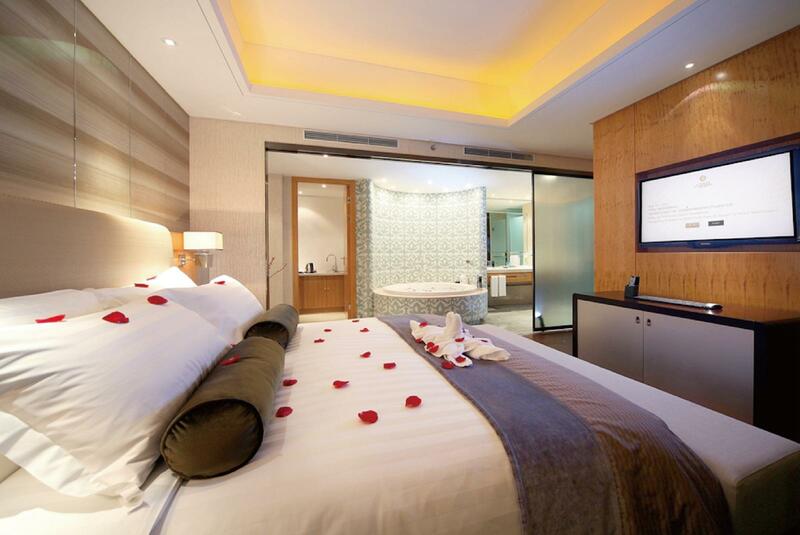 Great location, very nice room. Only negative was the very poor Wi-fi. 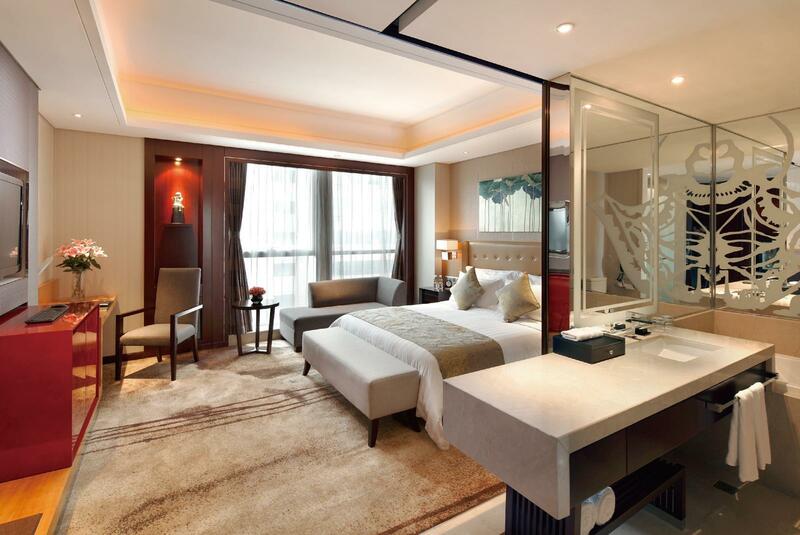 Will stay here again if I’m in Chengdu. Good location and pleasant room but air con is not working well. Close to pedestrian street. Lots of shopping and eating. Construction going on beside hotel makes it a little noisy. Good, happy, will stay there again. Hard to find the hotel. Entrance is at small corner of a shopping complex. Arriving at abt midnight after a long and tiring flight we found no receptionist at entrance. At the reception we were told our breakfast is only for one person even we booked room for two. Check-in process was slow and took more than 20 minutes. Finally we arrived at our room but the card key could not open the door. Feeling very frustrated and very tired, called the reception from the lift lobby to inform the key problem. It took more than 15 minutes, while we waited at the corridor, for them to send someone with the right key to open our room. After opened the door the staff just stood at the door did not even help us to bring our luggages into our room and show us the room amenities. Staff service really really need some improvement. Will not return or recommend this hotel.